from now you find @ Mag<3.B store a new and adorable Group gift : Dots dress!!! 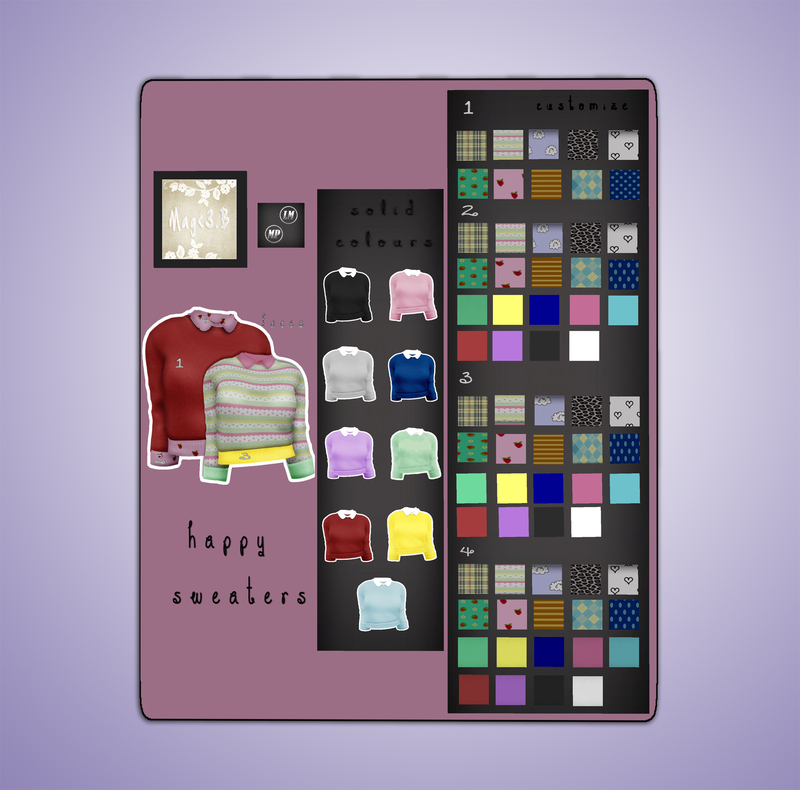 it’s a lovely sweater that comes in 5standard sizes with and hud for customize 4 sweater faces (body , cuffs , collar and edges). to make sooo many combinations !!! !